When is it time to replace a bathtub? 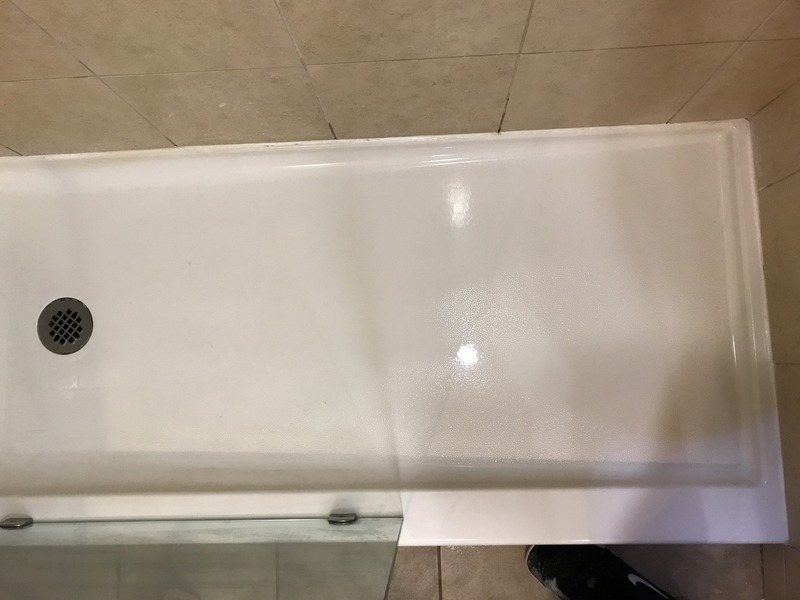 If there are there structural issues causing your bathtub to flex from body weight or you find standing or pooling water that will not drain. Are there cracks in fiberglass tubs or rusted holes in cast iron tubs? These are the type of issues that may require full bathtub replacement. 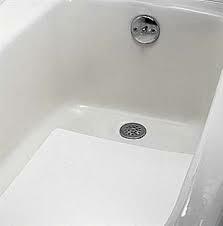 The bathtub itself is relatively inexpensive, however, the labor and supplies to install it cause the high price tag. 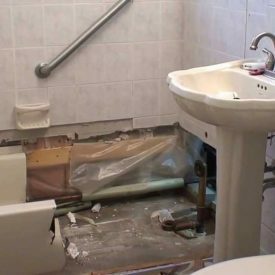 Hidden costs include things like removal and disposal cost, plumbing alterations, tile work and fixing damage under or around the bathtub. Room down time equates to 3-4 days. These alternate solutions can help you understand your options. Sign Up Now to Learn More! Liners are used when you want a quick and easy fix to cover the bathtub and/or surround. Easily installed, no noise or fumes, you’ll be left with a bright, white brand new bathtub. What will add to the cost of a liner? Not all tub liners are created equally. The type of material a liner is made of can vary, the less expensive, the less flexibility and give it has. Adding options like a handrail, soap dish or shelving will add to the cost. Let’s not forget about the labor to install each unit either. If you have issues in the tub, such as other coatings or rust, they will need to be removed or treated prior to installation. This provides a level surface to place the liner over. If these issues are not addressed, you risk movement in the tub liner bottom and the potential for cracking. Another common complaint from hotels is water trapped between the tub liner and the bathtub. The only way to fix this issue is to remove the tub liner. 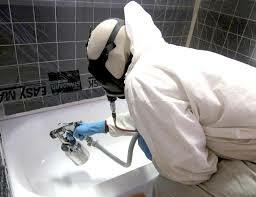 There is a time and a place for bathtub refinishing. If your tubs are dull, worn, stained, rusted or chipped beyond repair, basically unsightly inside and out, this is probably the best solution for you. 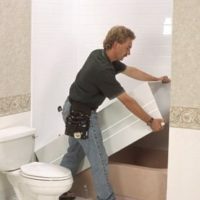 If you are updating your entire bathroom and want to change the color of the bathtub, this is the right choice for you. Price will vary by quantity, severity of damage, and vendor. Removing old finishes from the bathtub prior to refinishing is usually billed separately. If you’ve refinished before, and that finish is peeling, that old finish must be stripped. 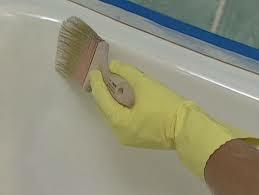 If your prior refinishing job has no defects, a refinisher can prep the tub and refinish right over. Room down time is at least 24 hours, which will cause your rooms to be out of order. Unless your service provider is using a zero VOC refinishing product, fumes will be noticeable in the hallways. Aftermarket coatings are the most cost effective way to update your worn, dull tubs and also address any safety issues you may have. A liquid opaque coating, usually color matched to the bathtub, and rolled into the tub bottom in a template area. This product will take 24 hours to dry and cause you to put rooms out of order. This product has an odor which will emanate into the room and possibly the hallways. This product will take 4-5 hours to dry, has low to no odor, and will not disturb guests or operations. Rooms can be sold the same day as service. This process involves applying a rolled on non skid coating in the tub bottom using a template to create the non skid surface. Next, the tub bottom is sprayed with resin, just like during full bathtub refinishing. The room must be out of order for 24 hours. The fumes will emanate into the hallways. The resin overspray, from the tub bottom, lands on the tub sides ranging from ¼ to ½ way up the sides. This may create a line of delineation between the original tub surface and the newly applied finish. Not only that, at regular maintenance time, this is a costly process to remove, as it is very labor intensive. BEWARE! Acid etching products have been around for ages. These products might be called “paint free”, transparent, invisible or be touted as “instant fixes”. But, if the product you choose doesn’t ADD something to your tub’s surface, then it is actually TAKING AWAY from your tub bottom. The reality is, the companies who provide anti slip chemical treatments are using hydrofluoric acid. Acid eats into the porcelain finish of your bathtub, creating tiny micro etches in the surface. The micro etches collect dirt over time requiring the use of a special cleaner, which is sold to you as a maintenance product. The special cleaner is diluted hydrofluoric acid. Over time, the continued use of acid will cause the micro etches to deepen and dirt and grime will be impossible to clean. You will find yourself looking for a different solution within two years. 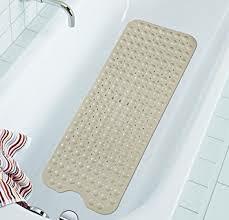 Adhesive mats are a low cost solution for covering damage and providing a safe bathing environment. However, these mats usually only last 4-6 months and will need to be replaced often. They become dirty and hard to clean, making the tub unsightly. When it’s time to move away from adhesive mats, either because your Quality Assurance team has mandated it OR you’ve realized they do not give the impression you want to provide your guests, the adhesive or glue must be removed with a chemical stripper which is relatively time consuming. Rubber mats were the norm long ago, but most hotels have moved away from them. Upscale hotels with showers may place a rubber mat in the shower for guest use. Rubber mats collect dirt and grime (as well as other bodily fluids) and leave germs behind. If not properly cleaned by Housekeeping or replaced regularly, your guests will cringe at the thought of using one of these. 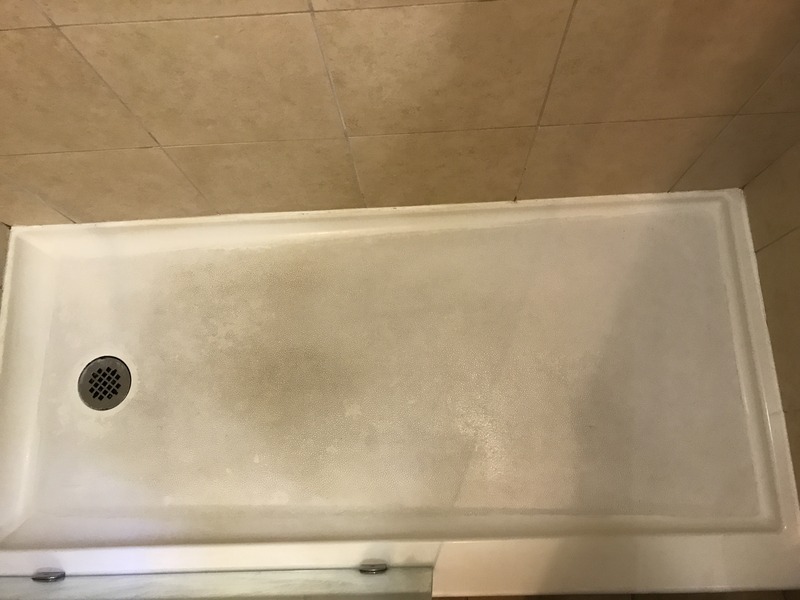 Rubber mats also capture water underneath in the suction cups, creating the potential to discolor or even rust the tub surface below. Epoxy spray paint or DIY refinishing kit bought off the shelf? 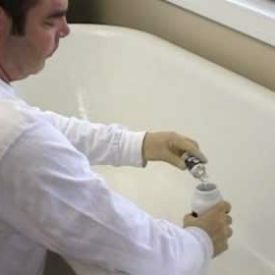 Spraying or layering quick fix alternatives over your original bathtub’s surface may seem like a good, easy, cost effective choice in the short term, but in the long run, it inevitably leads to nothing but problems. The DIY products will go on thin and uneven and be inconsistent from room to room. Your guests will notice a tub that is not uniform in color. Cleaning procedures at most hotels will cause these options to fail within a matter of a year. Most hotels see chipping, peeling or thinning. The costs for a professional service provider to install a quality product will include removal of the DIY coating, which is labor intensive and therefore, very expensive.